Relevanssi: The Best Search Engine for WordPress? Let’s face it – search is king. 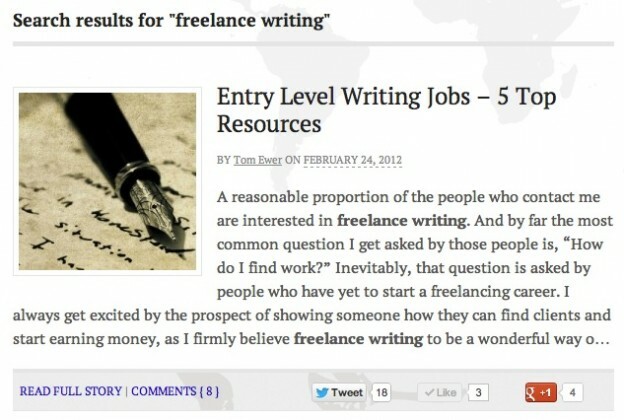 And as I said here, onsite search is the navigation aid for blogs. Moreover, you can use search logs to better understand what it is that visitors to your site are looking for. This knowledge can be used as a powerful weapon to shape future content. So make no mistake – search is important. With that in mind, the bad news is that standard WordPress search functionality is awful. The good news is that a free plugin provides the solution. There is no debating that Google’s search is top-notch, and you can actually get Google search for your blog – I showed you how here. But if you are unhappy with search results displaying in a lightbox (or do not have a good enough understanding of PHP to code Google search into your blog), there is a wonderful alternative. It is a plugin that I use on my own blog. Search results sorted in the order of relevance, not by date. Fuzzy matching: match partial words if complete words don’t match. Find documents matching either just one search term (OR query) or require all words to appear (AND query). Create custom excerpts that show where the hit was made, with the search terms highlighted. Highlight search terms in the documents when user clicks through search results. 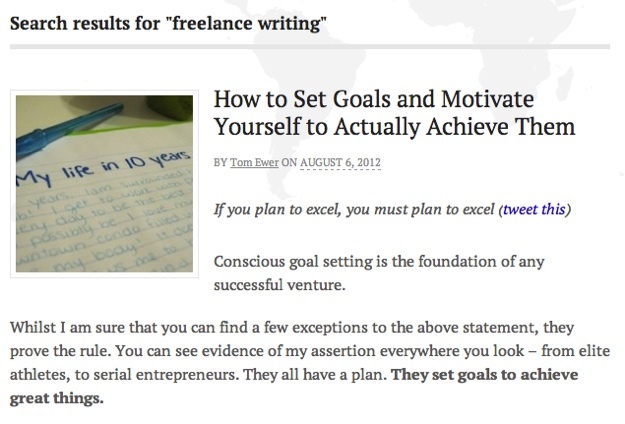 Don’t be fooled by the second result – it is only in there because it is the second most recent post on the blog. Default WordPress search returns results by date (one of its many shortcomings). 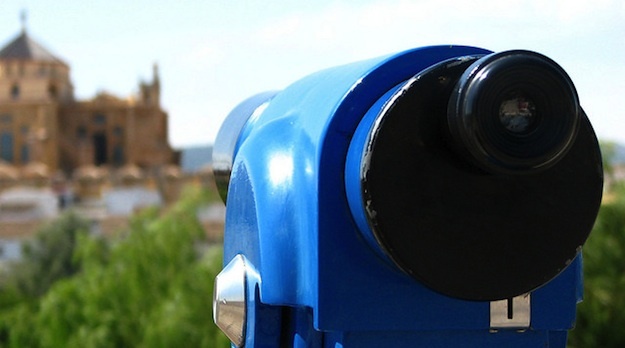 I know which results I would rather see returned to my blog’s visitors – the relevant ones. There is no comparison between default WordPress search and Relevanssi – the latter blows the former out of the water. Not only that, Relevanssi is a piece of cake to set up – just install, activate, then run an indexation from its settings screen. Relevanssi will handle the rest. There are actually a plethora of settings and customization options for you to play with within the settings screen, but you can use the plugin without touching them. 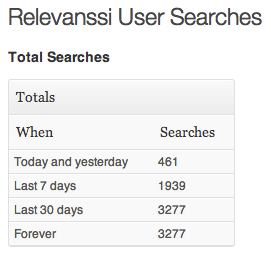 Although Relevanssi’s search feature alone makes it worth the download, it also allows you to log search queries. You can use these query logs to optimize everything from your site structure to your content strategy. I spoke about that in more depth in this article. If you click on “User Searches” under the Dashboard option in your admin sidebar, you will be presented with Relevanssi’s collected search query data. It returns the 20 most popular search queries from the last two days, seven days, and thirty days. It also logs how many times each query was made and how many results were returned. Lots of juicy information for you to work with. You can see a side by side comparison of the free and premium versions of Relevanssi here. To be honest, I think the developers of Relevanssi have offered too much in the free version. I personally couldn’t justify spending $39.95 on the premium version. Of course, if your requirements are more advanced than mine, you may find that the additional functionality is worth the cost. Next blogpost:We Will Be Giving One of You $1,000 for Your Idea! With Google staking claim of market, other IT companies are gearing to grab larger share. 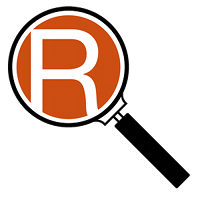 Relevanssi is a additionnal algorithm for the search engine of WordPress. I used Relevanssi for years, but it didn’t suits exactly my needs; so I tried other plugins as WPSearch 2, Search Unleashed and all search plugins you can find over the web or in WordPress plugins directory. It’s clear that Relevanssi is the most advanced, and provides the most relevant results. Relevanssi weak point is that it’s not built to index huge posts databases, I’ve had some problems indexing more than 10,000 posts. As I didn’t find THE plugin I needed, I built my own, WP-ISE, that you can find in WordPress plugins directory: WP-ISE Lite. I also wrote a comparative post with Relevanssi, WPSearch 2 and WP-ISE results: WP-ISE versus some other search plugins. yes, I have a dictionary site, with above 20 000 entries now, but I had to delete Relevanssi, because it had created 3 Giga database causing problems, not to speak about moving to a payed hosting in future, where they would not be happy about the size. I was wondering maybe I have set someting wrong, but for the time being I am using Ajax search (not sure it is full name) plugin and looking for a better one. @Brent I’d love to try out your search extension. I’ve been using Relevanssi for a few months now on a couple of sites and it works great.